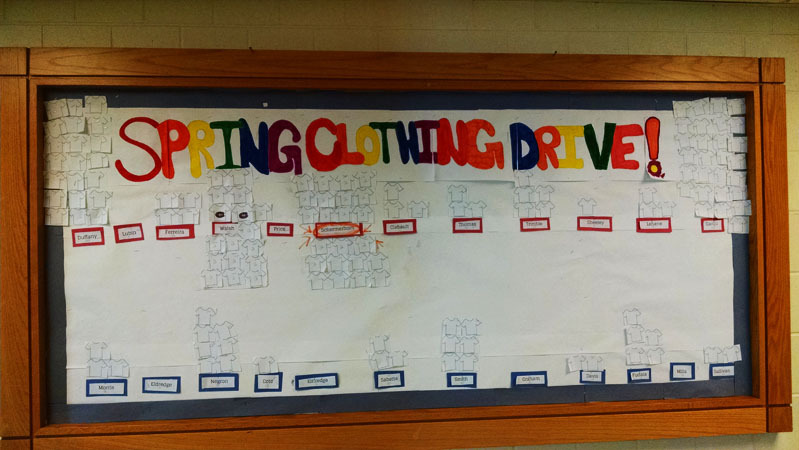 This spring, the STEM Student Council sponsored a clothing drive to benefit the Cradles to Crayons organization. Cradles to Crayons is a non-profit organization that helps provide for families in need in Massachusetts. The clothing drive was led by STEM 8th grader Ella Strano, who was selected to be the STEM Academy’s ambassador to Project 351 for this school year. Project 351 honors one student from each town and city in Massachusetts to represent their community. The organization provides opportunities for leadership development and service throughout the year. Ella’s efforts to organize this clothing drive were remarkable as she took the lead at every stage of the planning and implementation of the project. STEM students and teachers donated a total of 1775 items over the course of the week-long drive. 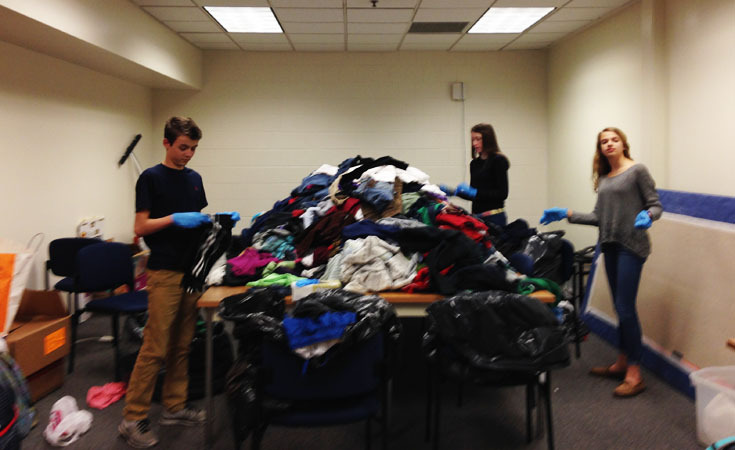 Mrs. Schermerhorn’s Advisory donated nearly 400 items, more than any other advisory. The entire STEM community showed their generosity and kindness of spirit in this endeavor. Well done to all who participated! Students sorted all the clothing donated.